Christmas is a major feast day, yet it is based upon small passages in two Gospels. These are the Nativity accounts in the first two chapters of the Gospels of Matthew and Luke. As the initial accounts, they point toward the themes of the entire Gospels. Here we will look at some elements in the Nativity account in Luke that may not be familiar. The evangelist Luke was likely a gentile who emphasized Jesus as the savior of all peoples, at a time when many people thought God cared only for his chosen people. But Luke’s universalism applied not only ethnically but also socially. In his day, women had few rights in Jewish or Roman society. They were always dependent upon men, mostly their fathers and husbands. They could not run businesses (except to help their husbands! ), and only queens had political influence. Luke emphasizes Mary’s role, especially at the Nativity, but Luke is also the sole biblical writer to mention a second woman by name in that account, Elizabeth, who appears only in Luke’s infancy narrative. Tradition has made her a cousin of Mary, but Luke says only that she was a “relative,” which could mean much in days of large, extended families. But if not full-blood cousins, Elizabeth and Mary were close. The virgin traveled, pregnant and probably on foot, to see her, and Elizabeth made a stirring prophecy about Mary’s son. Luke also mentions Elizabeth’s son yet to be born, although the messenger, the angel Gabriel, prophesies to the boy’s father Zechariah, not to Elizabeth. Two women were the first to know of the Messiah, contrary to what everyone in the ancient world would have expected. This is an important, well-known passage, but even some minor Nativity passages can require more explanation, even today. Luke tells us that the infant Jesus was laid in a manger because Mary and Joseph could find no room at a Bethlehem inn. This striking story of humility has become very popular but often at the expense of the Gospel account. Endless Christmas paintings and greeting cards show the infant in immaculate clothing, lying on unbelievably clean straw and with little angels hovering about him as he sleeps. A manger was a trough in a stable set up to feed animals, especially large ones, such as cows and mules. It would have been filthy, uncomfortable, odiferous and hardly a place for a newborn king. 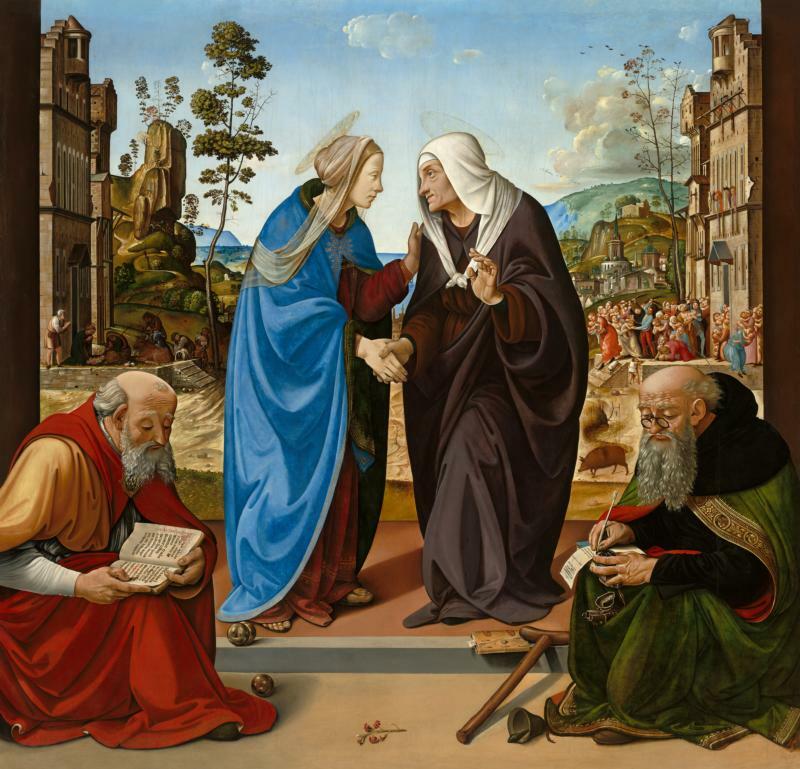 Here Luke emphasizes the deep humility of the Savior, Mary and Joseph. A small detail: In ancient Judea, shepherds sometimes used caves to house their livestock. This explains why a number of visual images of the Nativity are set in caves instead of a barn-like structure. Every Christmas the church urges people to read the Gospel accounts. They may not match many now-traditional images, but they are the basis of our blessed winter feast, and knowledge of the scriptural Nativity can only help our understanding of the feast. Joseph F. Kelly is retired professor at John Carroll University in University Heights, Ohio. Thankyou for adding a dose of reality to the Gospel and the birth of our Lord.